When it comes to camera equipment, you know the more gear someone carries, the more professional he or she is. Well, most of us would just tote around a compact digital camera that has its own built-in flash, while more serious shutterbugs will look towards a DSLR kit. Here is an accessory that you might want to consider purchasing if you were to make the move up to the big leagues, so to speak, with the $79.99 Manfrotto Hotshoe Dimmable LED Panel. 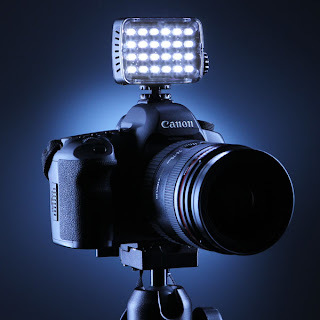 It is said that the Manfrotto Hotshoe Dimmable LED Panel delivers perfect lighting for on-the-go filmmakers, being tiny enough to fit in your camera case, while it is also versatile to play nice with a wide variety of DSLRs and compact cameras – and get this, it will also work even with smartphones, now how about that? This 24-LED light source delivers daylight-bright light, where all two dozen LEDs will emit continuous light at a constant temperature of 5600°K (daylight), not to mention an illuminance of 220 lux at a distance of 1 meter. 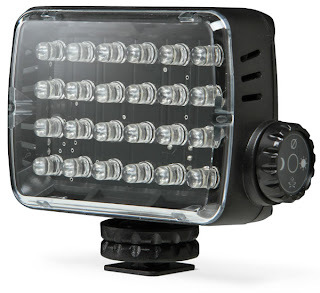 You can control the lighting in a precise manner thanks to its dimmer. Any takers?